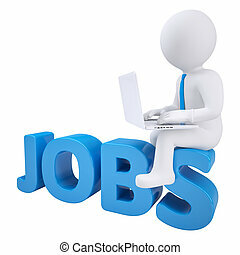 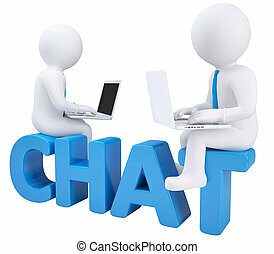 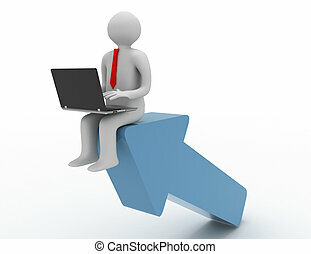 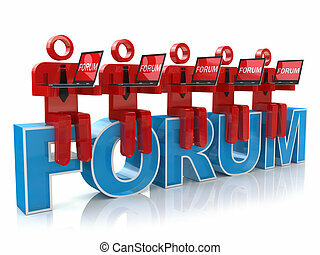 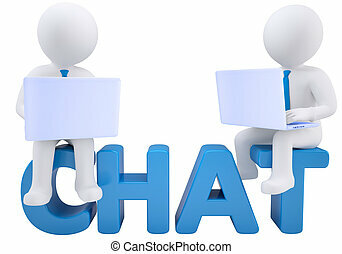 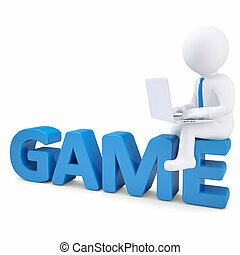 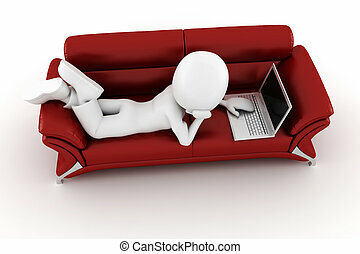 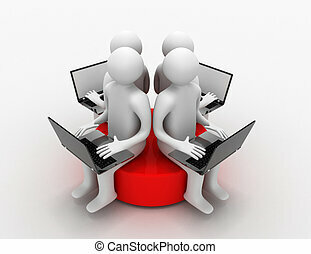 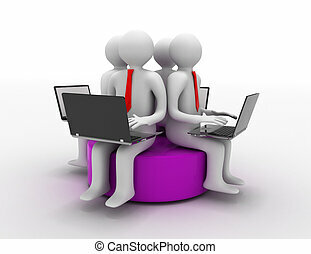 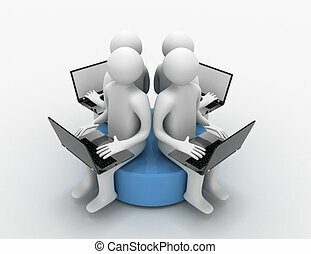 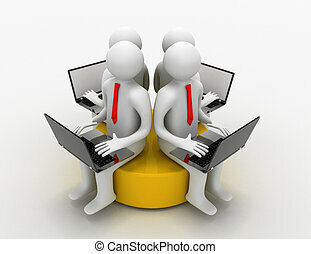 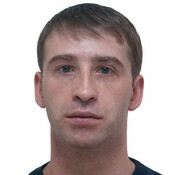 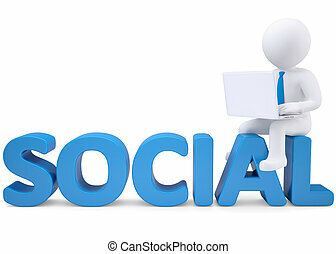 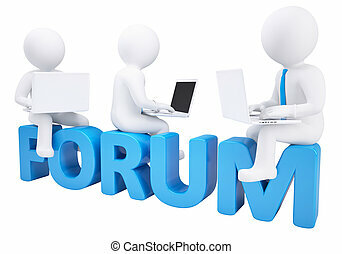 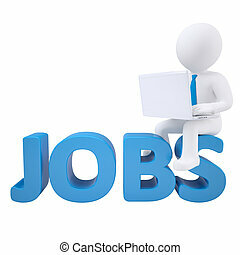 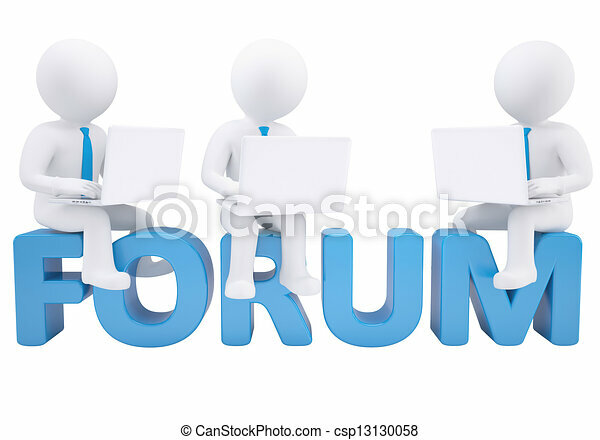 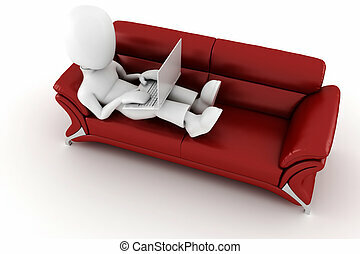 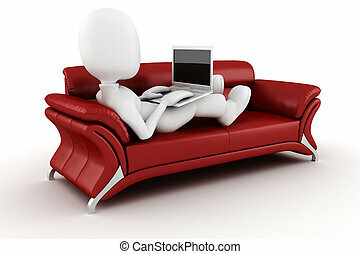 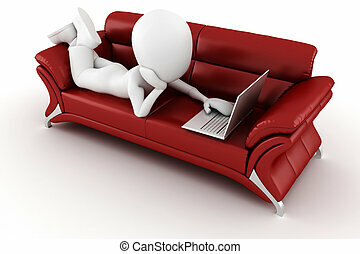 3d man sitting with a laptop on the word forum. 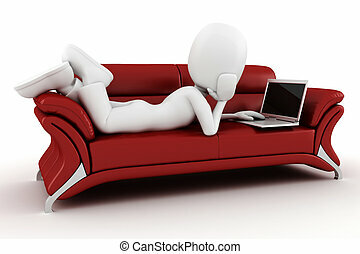 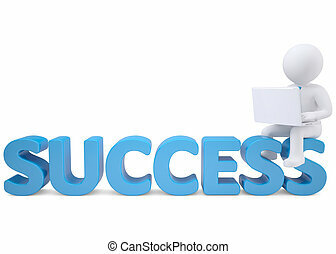 isolated render on white background. 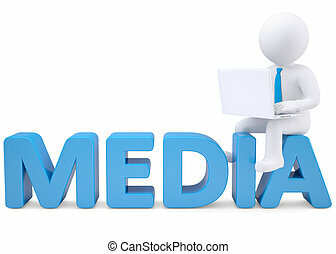 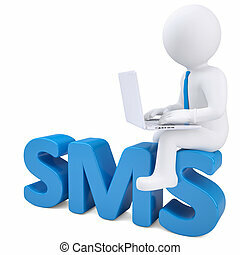 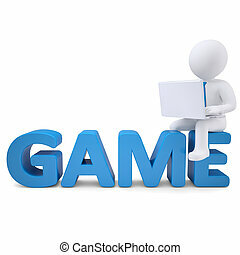 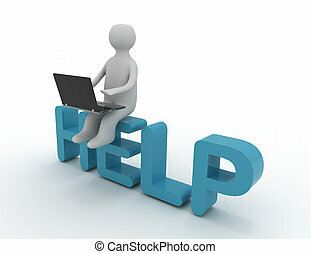 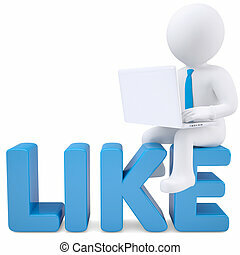 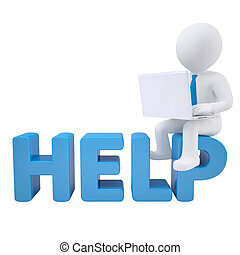 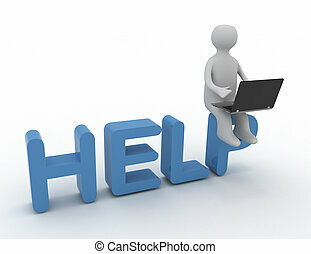 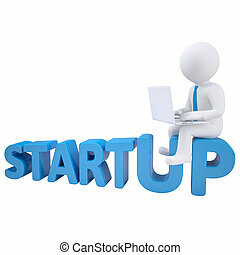 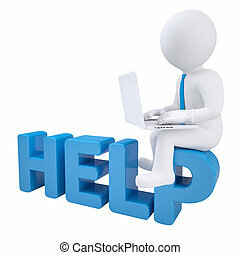 3d man sitting with a laptop on the word help.